Today, CAIR-CAN is using John Ralston Saul’s presence at the RIS convention as a diversion for not answering questions about the relationship between the RIS convention, Hamas and the Muslim Brotherhood infrastructure. Tomorrow, they will use the name of PEN International president to justify blasphemy laws in parliaments and in courts. Mr. John Ralston Saul, where does ignorance end and willful blindness start? 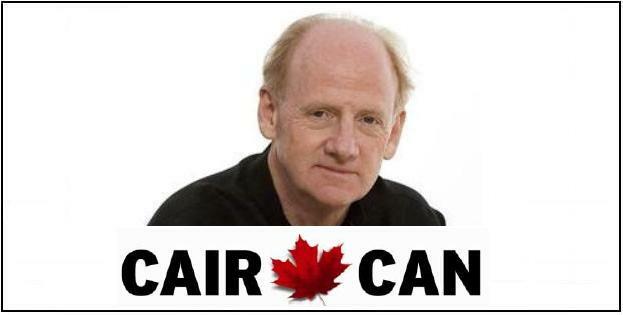 Today, CAIR-CAN is using John Ralston Saul’s presence at the RIS convention as a diversion for not answering questions about the relationship between the RIS convention, Hamas and the Muslim Brotherhood infrastructure. Tomorrow, they will use the name of PEN International president to justify blasphemy laws in parliaments and in courts. Mr. John Ralston Saul, where does ignorance end and willful blindness start? PART 5 – Are John Ralston Saul and Karen Armstrong pro-Islamist soul mates? After Justin Trudeau’s presence at the Reviving the Islamic Spirit (RIS) convention was made public, Point de Bascule published two articles focusing on the main speakers and the main sponsors of the event. Both articles explained how these sponsors were related to armed jihad. The first article also highlighted the fact that the main speakers advocate for an Islamic conquest of the West. The RIS convention will take place in Toronto next weekend (December 21-23, 2012). 1994 – Washington-based CAIR was founded and incorporated by three leaders of the Islamic Association for Palestine (IAP) – Nihad Awad, Omar Ahmad and Rafeeq Jaber. IAP appears in an annex of a 1991 Muslim Brotherhood’s internal memorandum listing the organisations that are associated with the Brotherhood in the United States. It is #22 in the list. At point 20 of the memorandum, Jamal Badawi, a speaker who will share the podium with Justin Trudeau and John Ralston Saul at the next RIS convention, is identified as a Muslim Brotherhood leader in North America. Jamal Badawi is based in Halifax and is on the board of numerous Muslim Brotherhood-affiliated organizations in Canada and in the United States. He has also been on the board of CAIR-CAN in recent years. This memorandum was seized by police and produced for evidentiary purposes in two Holy Land Foundation trials that took place in the U.S. in 2007 and 2008. These trials led to the convictions of the accused for having funded terrorism (GMBDR). December 2003 – In the affidavit referred to previously, Sheema Khan states that CAIR-CAN is under the direction and control of the American CAIR organization. After Point de Bascule’s articles were posted, neither CAIR-CAN nor Justin Trudeau tried to disprove that the main speakers at the RIS convention have called for “a Muslim conquest of the West”, that the main sponsor of the event, Islamic Relief, acknowledges, on its own website, that some of its charity money goes for the funding of jihadists (“Those struggling in the path of Allah”) and that Islamic Relief’s leadership is linked to the Muslim Brotherhood government in Egypt. Instead, Trudeau and CAIR-CAN played the Islamophobia card. It would have been so simple for CAIR-CAN and the Muslim Brotherhood infrastructure in Canada not to get embarrassed by our assertions if these had been wrong. They simply had to bring up the facts that disprove them. But it simply was not an option. Unable to disprove the points that were raised, CAIR-CAN and its Islamist allies tried to cover the truth. The manual of sharia Umdat al-Salik (section r10.3) clearly states that it is legitimate for Islamists to “give a misleading impression”, to resort to deception and lies when it is required to advance their cause. Tariq Ramadan, one of the main speakers at the RIS 2012 convention in Toronto has endorsed the book. The International Institute of Islamic Thought (IIIT) has done the same. Abdul Hakim Jackson who will speak at the RIS 2012 convention is on the IIITs Council of scholars. Last week, there was considerable pressure on Justin Trudeau to reconsider his decision to attend the upcoming RIS convention after Point de Bascule reported that a second sponsor of the Islamist conference, IRFAN-Canada, had its charity status revoked in April 2011 after the Canada Revenue Agency (CRA) concluded that, for the period 2005-2009 alone, it transferred $14.6 million to Hamas (CRA – GMBDR – Toronto Star). In 2002, the Canadian government, led by Justin Trudeau’s Liberal Party, deemed it crucial to distance itself from Hamas by adding it to a list of terror groups. On December 15, an Islamic media announced that IRFAN withdrew its sponsorship of the event. After having played the Islamophobia card, CAIR-CAN resorted to a second weak argument against Point de Bascule. It invoked the fact that John Ralston Saul’s presence at the RIS convention is by itself a guarantee that everything that has to do with this convention is fine and dandy. CAIR-CAN press release / (December 12, 2012): (EXCERPT) To suggest that there is something untoward about a conference that invites thinkers like John Ralston Saul and Karen Armstrong to speak on topics such as inter-faith dialogue and mutual understanding is ludicrous. This is yet another example of Islamophobic vitriol aimed at marginalizing and vilifying Muslims. Contrary to CAIR-CAN’s statement, history has given us many examples of people with titles and prestige who have endorsed totalitarian ideologies. If John Ralston Saul’s participations at RIS conventions can be explained by more than naiveté, it would not be the first time that an intellectual is endorsing totalitarianism. David Caute has written a entire book about The Fellow Travellers, those intellectuals who were enamoured with the Soviet Union and communism in spite of the lack of freedom, the gulags, the executions, etc. Another group of writers praised fascism and the Italian experiment in the 30’s and 40’s. Ezra Pound was one of them. George Orwell came up with the concept of doublethink in his novel 1984 in order to explain the mental process used by intellectuals to rationalize their defense of the indefensible. CAIR-CAN’s claim that the mere presence of Mr Saul on the RIS’ speaker roster guarantees the “towardness” of the convention was invalidated when IRFAN withdrew its sponsorship of the event. It happened only three days after CAIR-CAN invoked Mr Saul’s name and reputation as a stamp of approval for the Islamist convention. IRFAN withdrew its sponsorship after its financial support of terrorism was made public by Point de Bascule and provoked a public outcry. When CAIR-CAN invoked John Ralston Saul’s name and reputation to defend its Islamist allies who are organizing the RIS convention, it associated him with Karen Armstrong. Both were presented as intellectuals whose judgement is infallible. Armstrong is a former Catholic nun who has become a fellow-traveller of the Islamists. She claims that the Muslim Brotherhood’s spiritual guide, Youssef QaradawI, is a moderate. In her book Islam: A short history (pp. 185-186), she states that Qaradawi “believes in moderation”. In conformity with a Muslim Brotherhood principle of operation already reported by the New York Times in February 1949, Qaradawi endorses the use of suicide bombers. 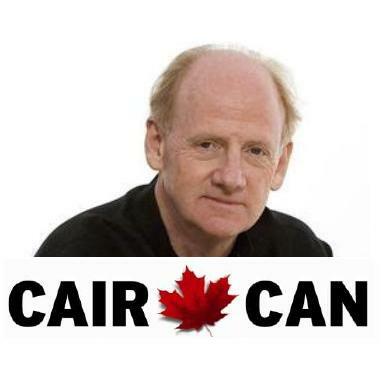 Was John Ralston Saul informed that CAIR-CAN matched him with Karen Armstrong in order to deflect the criticisms of the RIS convention? Does he, too, believe that the killing of apostates is a sign of moderation? Journalists who are covering the convention should ask him about it. What is so troubling with John Ralston Saul is the fact that, on one hand, as president of PEN International, he expresses legitimate concerns about the threats to the freedom of expression around the world while, on the other hand, he attends the RIS convention (at least for the second time), therefore giving credibility to the Islamists who organize it. Islamists are among the worst culprits when it comes to restricting the freedom of expression. PEN is an international writers and human-rights organization. Thousands of people around the world have been involved in the publishing and distributing of The Satanic Verses and what is required now is a concerted effort by Western governments to ensure that the fatwa is lifted. At the time of the events, Khomeini did not have only opponents in the West but also supporters. One of them was Yusuf Islam (former singer Cat Stevens). In 1989, the former singer was amongst the first militants linked to the Muslim Brotherhood in the UK openly expressing his support for the killing of Rushdie on the BBC. Yusuf Islam’s interview is available on numerous websites. On two occasions in recent years, Yusuf Islam has been a guest of honour at RIS conventions (2009 and 2011). John Ralston Saul was at RIS 2010 and is back this year. Those Islamic religious authorities calling for the punishing of “apostates” (1), for example, could claim that such punishments are protected from criticism and public-policy discussion by their ostensibly “religious” quality. The same thing could be said of the sharia law provision according to which parents who kill their children may not be charged criminally, a situation implicitly endorsing honour killing (2). In a speech that he gave in Tokyo in 2010 as president of PEN International, John Ralston Saul opposed the “regimes who want to make the criticism of religion a matter of defamation.” Yet, by attending the RIS 2012 convention, he is putting his reputation behind Tariq Ramadan, one of the main actors behind the resolution banning the criticism of religion that was adopted at the interreligious meeting held in Montreal last year. In 2006, Maclean’s published an excerpt of a book by Mark Steyn with quotes from Muslim leaders advocating for the conquest of the West by immigration and high birth rates. Four Muslim students backed by the Canadian Islamic Congress complained to the Ontario Human Rights Commission (OHRC). Although Steyn was only the messenger in this affair (he was reporting statements made by Mullah Krekar, an Islamist living in Norway, and by Muammar Gaddafi), the OHRC took the case. In 2008, on behalf of CAIR-CAN, Sameer Zuberi issued a press release endorsing the legal procedure against Steyn and Maclean’s and applauding the four complainants who had gone to the OHRC. In its December 22, 2009 edition, The Toronto Star identified Sameer Zuberi as the spokesperson for the RIS convention that year. Zuberi is also identified as the spokesperson of another Muslim Brotherhood-linked organization, the Canadian Muslim Forum (CMF), in a video realized on the occasion of its annual dinner held on November 18, 2011. I am glad to find that PEN Canada – this country’s chapter of an international writers’ rights organization – calls for changes to human rights commission legislation. In an environment of political correctness, we need such a clear point of view. John Ralston Saul’s participation at the RIS 2012 convention is incompatible with the position taken by PEN Canada in 2008. It puts him in a very vulnerable position as the president of an organization dedicated to the defence of the freedom of expression. In October 2012, an Italian media reported that the Muslim Brotherhood guide, Youssef Qaradawi, is involved in a Qatari project that aims at presenting an international law banning blasphemy. The goal is eventually to submit this law to the United Nations. Youssef Qaradawi can be linked to many speakers who appear on the RIS 2012 convention roster. In his book Radical Reform, Tariq Ramadan, one of the main speakers at the RIS convention, presents Qaradawi as a “prominent scholar” who has outlined the attitudes and the kind of behaviour that Muslims living in the West should adopt. In her book Islam: A Short History, RIS 2012 speaker Karen Armstrong argues that Youssef Qaradawi is a moderate. Although she is not scheduled to speak at the RIS convention this year, CAIR-CAN founder, Sheema Khan, has also endorsed Qaradawi’s leadership by referring to him as a “renowned Muslim scholar” in a 2002 Globe and Mail article. 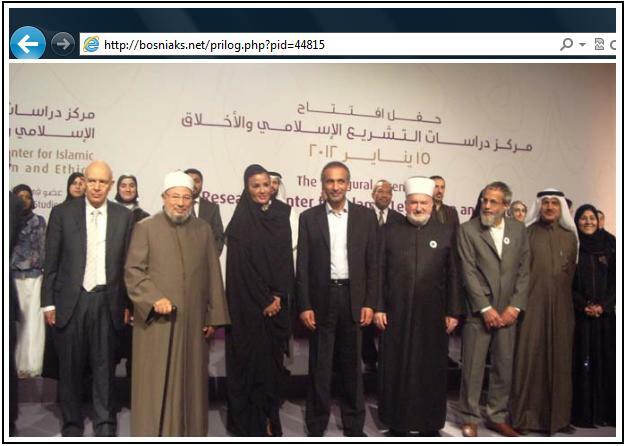 Other speakers at the RIS 2012 convention can be linked to the Muslim Brotherhood spiritual guide through their participation in organizations led by Qaradawi or that he helped set up. International Union of Muslim Scholars (IUMS) – Youssef Qaradawi is the president. Jamal Badawi, a RIS 2012 speaker is on the board of the IUMS. European Council for Fatwa and Research (ECFR) – Youssef Qaradawi is listed as its member #1. Jamal Badawi is also a member of the ECFR with Mustafa Ceric (Ciric) and Abdallah Bin Bayyah, two other speakers invited in Toronto. International Institute of Islamic Thought (IIIT) – Youssef Qaradawi, was an IIIT’s planner. RIS 2012 speaker Abdul Hakim Jackson is on the International Institute of Islamic Thought’s Council of scholars. In his book A Mosque in Munich (Boston, Houghton Mifflin Harcourt, 2010, pp. 195-196), Ian Johnson recalls that Youssef Qaradawi was the most senior participant in a 1977 meeting held in Lugano (Switzerland) that led to the establishment of the IIIT four years later. The IIIT (based in Herndon PA) may be considered like the Muslim Brotherhood’s research centre where strategies and tactics are elaborated in order to advance the Islamist agenda in the West. In 2003, RIS 2012 speaker Seyyed Hossein Nasr was on the planning committee of a conference financially supported by the IIIT. NOTE: Most of the links between Qaradawi and the RIS 2012 speakers were established by consulting GMBDR’s articles. There may be more RIS speakers formally endorsing the Muslim Brotherhood’s spiritual guide or members of his organizations than those whom we have identified. The (Point de Bascule) blog’s attempt at using scare tactics in calling the conference ‘Islamist’ in order to prevent guests like Liberal MP Justin Trudeau from addressing thousands of Muslims, many of whom are young people, should be rejected, says Mr. Gardee (CAIR-CAN Executive Director). Point de Bascule calls the conference “Islamist” because its main sponsors, its main speakers and its main supporters are Islamists. They have a political project to Islamize Canada and the West in general. They want Canada to conform to the principles of sharia. 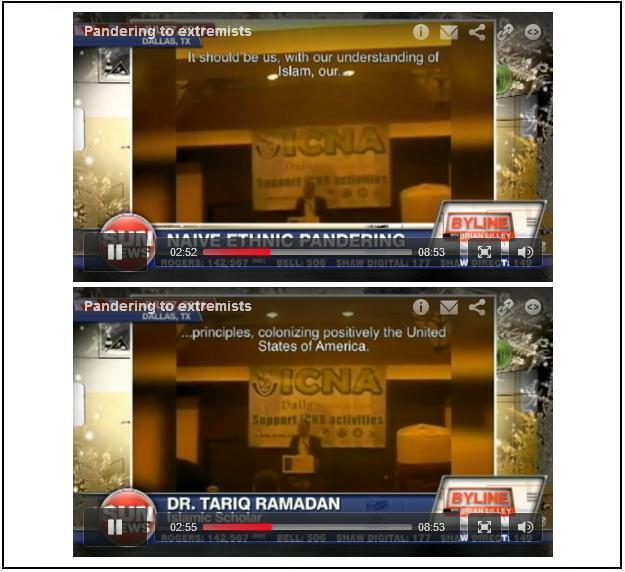 In July 2011, Ramadan went along the same lines when he incited his supporters in Dallas to colonize the US “with our understanding of Islam, our principles”. This is exactly how an Islamist sounds. In the coverage of the RIS 2012 convention on his December 13 Byline show, Brian Lilley presented some background about the Muslim Brotherhood. Tariq Ramadan’s call for the Muslim colonization of the US was included in the presentation. It can be viewed in this SUN TV video (02:30). It should be noted that the term Islamist is used by the Islamists themselves when they want to distinguish between Muslims in general and those engaged in the political project of imposing sharia on all aspects of life. The distinction between Islamist and Muslim is not unlike the distinctions between Nazi and German or communist and Russian. Once more, it should be emphasised that the criterion to identify an Islamist is not whether a person is engaged in violent jihad but whether this person believes in implementing sharia. The focus must be on the totalitarian aspect of political Islam. All Islamists agree that it is legitimate to resort to violence and coercion to impose sharia. They may, however, diverge on whether or not it is opportune to resort to it in certain given circumstances. It is strictly a matter of tactics, not of principles. In his Oxford Dictionary of Islam (p. 151), John Esposito, a close ally of the Muslim Brotherhood, gives the following definition of an Islamist. Islamist – Term used to describe an Islamic or political activist. Coined in preference to the more common term “Islamic fundamentalist.” Islamists (al-Islamiyyun) are committed to implementation of their ideological vision in the state and / or society. Their position is often seen as a critique of the establishment and status quo. Most belong to Islamic organizations or social movements (al-harakat al-Islamiyyah). Hassan al-Banna (1906-1949), the founder of the Muslim Brotherhood, has clearly codified the social and political aspects of his project in his 50-point manifesto. In the document, he promotes the abolition of political parties and the instauration of a one-party State, the reform of the law, so that it will conform to sharia, an increase in the number of youth groups promoting jihad, the prohibition of dancing, the censorship of movies and plays and a dress code for all citizens enforced by a religious police, etc. Over the years, MAC gave substantial amounts of money to the three main sponsors of the RIS 2012 convention according to its annual statements available on the Canada Revenue Agency’s website. Canadian newspapers have presented Faisal Kutty as a CAIR-CAN board member in 2001, 2002 and 2005. In 1998, the same Kutty used the word Islamist to describe an Algerian Muslim Brotherhood leader who visited Canada (Algerian Islamist Sheikh Mahfoud Nahna Addresses ISNA Conference). Does CAIR-CAN believe that its former director Kutty was “using scare tactics” when he called Mahfoud Nanna an Islamist? Of course, not. The two Islamist parties, Freedom and Justice representing the Muslim Brotherhood and Al Nour, representing the Salafists, have emerged as the main political forces in Egypt. Ibrahim Abu-Rabi, a Muslim Brotherhood leader who operated in Edmonton before his sudden death in 2011, wrote a book about the Islamic resurgence in the Middle East. On page 263, he calls Qaradawi, the Muslim Brotherhood spiritual guide, an “Islamist.” Is CAIR-CAN offended by the statement? Words have meaning and nuances are important. The reasons that led Kutty, Abu-Rabi and Ramadan to use the word Islamist are the reasons that lead Point de Bascule to do it. A quest for precision and nuance. By using the word “Islamist”, Kutty, Ramadan and Abu-Rabi all agreed that not all Muslims support sharia. A word was needed to designate Muslim activists who support sharia and work to implement it. At one point, somebody came up with the word Islamist. It serves the purpose. Brian Lilley’s presentation is followed by Tariq Ramadan’s call for an Islamic colonization of the US. It starts at 02:30 in the video. More excerpts from this conference by Tariq Ramadan are available on Point de Bascule. In its press release condemning Point de Bascule, CAIR-CAN stated that it is “ludicrous… (t)o suggest that there is something untoward about (the) conference” not only because John Ralston Saul and Karen Armstrong will attend it but also because one of the theme that will be discussed is interfaith dialogue. To rally Christians against Israel. Youssef Qaradawi has explained in various texts that Islamists do not rely strictly on violence to advance their agenda. When they are not in a favourable position militarily, they resort to ideological jihad. Youssef Qaradawi on IslamOnline in 2002 – MEMRI: Islam will return to Europe as a conqueror and victor, after being expelled from it twice – once from the South, from Andalusia (Spain – 1492), and a second time from the East, when it knocked several times on the door of Athens (1830). (…) I maintain that the conquest this time will not be by the sword but by preaching and ideology. No doubt that when the numerous RIS 2012 speakers endorsing Qaradawi will exchange with John Ralston Saul about interfaith dialogue during the convention, they will all be applying the principles explained by their mentor in the matter. Yusuf Islam (former singer Cat Stevens / 6th from the left – RIS 2009 2011). Second from the left is Youssef Qaradawi, the Muslim Brotherhood spiritual guide. Sheikha Mozah is one of the Emir of Qatar’s wives. 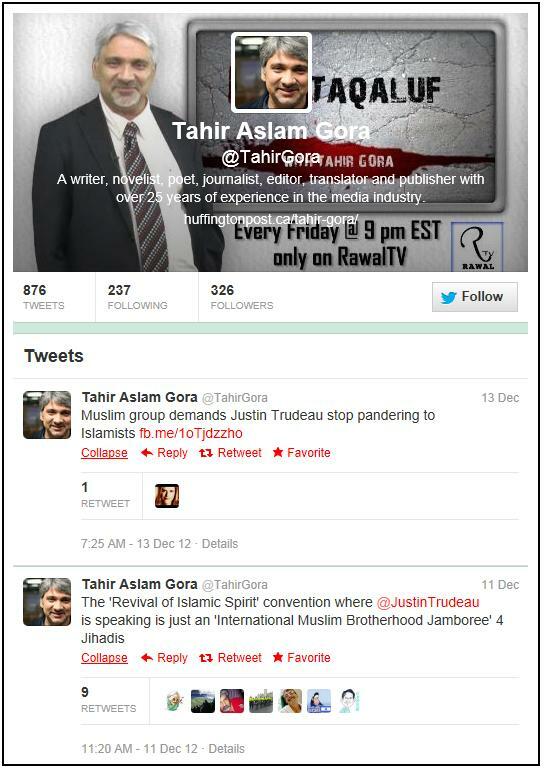 Many Canadians, including some Muslims like Tahir Aslam Gora who came to Canada as a refugee in 1999 because his life was threatened in Pakistan due to his criticism of religious fundamentalism, have explained that the RIS 2012 convention is an Islamist fest that favours sharia and, therefore, threatens the freedom of expression. Justin Trudeau has decided to ignore the call made by anti-sharia Muslims such as Tarek Fatah and Tahir Aslam Gora not to attend. John Ralston Saul has also chosen his camp and his name still appears on the program of the convention.